Fig. 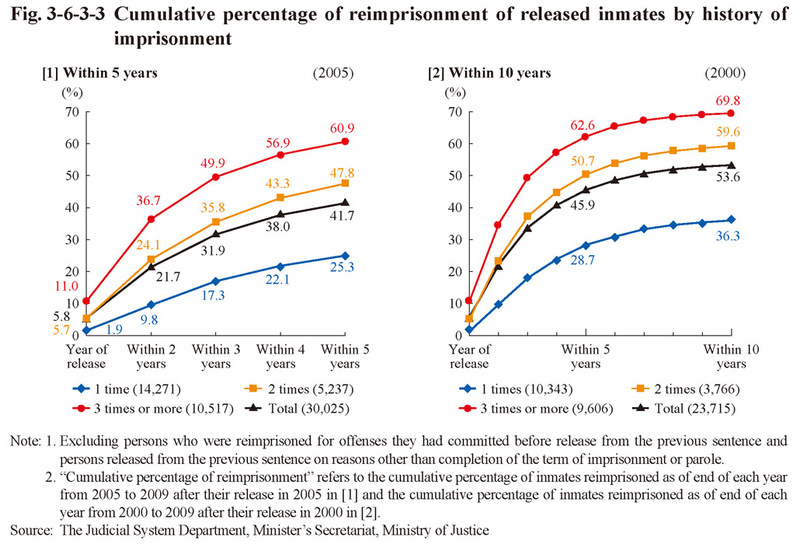 3-6-3-2 shows the cumulative percentage of inmates reimprisoned as of the end of each year for a period of five or 10 years after release in 2000 or 2005 inclusive of the year of release (hereinafter referred to as the “cumulative percentage of reimprisonment” in this subsection) by reason for release (on completion of their term of imprisonment or on parole) while Fig. 3-6-3-3 shows that by their history of imprisonment. 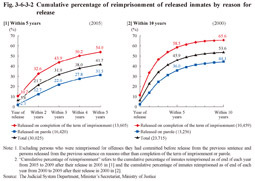 By reason for release the cumulative percentage of reimprisonment of those released on completion of their term of imprisonment was significantly higher than that of those released on parole. 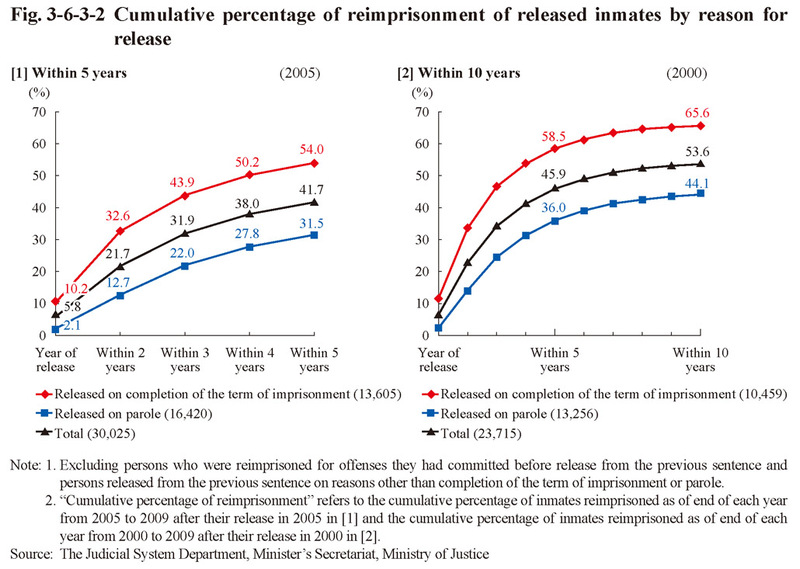 Of inmates released in 2000 the cumulative percentage of reimprisonment within 10 years was 65.6% for those released on completion of their term of imprisonment and 44.1% for parolees, with those reimprisoned within five years accounting for 89.2% and 81.6% of those reimprisoned within 10 years, respectively. By history of imprisonment the cumulative percentage of reimprisonment rose as the number of their history of imprisonment increased. In particular the difference between those imprisoned for the first-time and those imprisoned twice is remarkable. 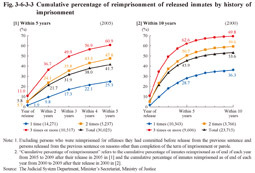 Almost more than half of those imprisoned twice or more were reimprisoned within five years, thus indicating the increased difficulty of reforming/rehabilitating them.